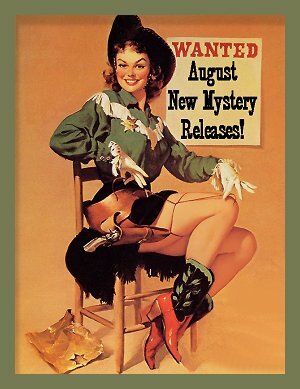 August 2018 New Mystery Releases! Whiling away the hours reading good books in the shady end of my swimming pool is a given each and every summer, and I hope that doesn't change for a good long time. Thankfully most of my upcoming eye surgeries aren't going to have a great impact on this, so I'll still be able to read and enjoy the wildlife that seems to like my pool as much as I do. I've been keeping an eye out for new crime fiction that will be released during the month of August, and here are my picks, grouped according to their publication dates. Book covers and synopses are courtesy of Amazon. Now let's see if I've chosen any titles that make their way onto your own personal wishlists! Standalone set in the Midwest. Synopsis: "Jane’s days at a Midwest insurance company are perfectly ordinary. She blends in well, unremarkably pretty in her floral-print dresses and extra efficient at her low-level job. She’s just the kind of woman middle manager Steven Hepsworth likes—meek, insecure, and willing to defer to a man. 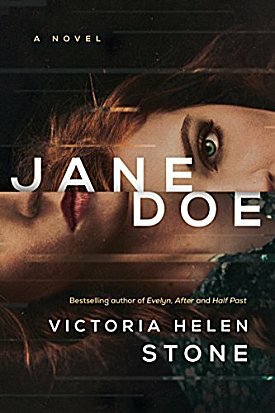 No one has any idea who Jane really is. Least of all Steven. Just as he did to her." Series: #16 in the Owen McKenna PI series set in the Lake Tahoe region of California and Nevada. Synopsis: "Tahoe tech guru Yardley LaMotte had a vision for future robots that could transform the world. He started a company called Tahoe Robotics. Twisted killers with ties to a Swedish prison gang figured out how to steal the software. All they needed was the key to unlock the computer code. A brilliant kid was in the classroom when the Tahoe Robotics founder visited a local school and talked about encryption. When that kid goes missing, the father contacts Tahoe Detective Owen McKenna. 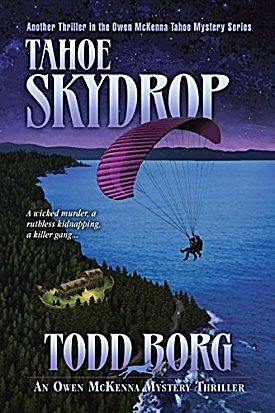 When McKenna learns that the kidnappers are hiding the kid at a mountaintop compound protected by armed guards, he plans to rescue the child by using a paraglider to drop out of the sky at night. But the plan goes horribly wrong. 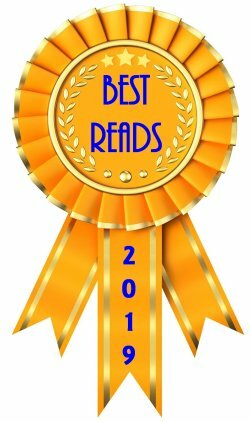 Unless McKenna and his Great Dane Spot can find the child, the child will die..."
Series: #1 in a series set in fourteenth-century Devon, England. Synopsis: "When the Black Death enters England through the port in Dorsetshire in June 1348, no one knows what manner of sickness it is—or how it spreads and kills so quickly. The Church cites God as the cause, and fear grips the people as they come to believe that the plague is a punishment for wickedness. Lady Anne makes an enemy of her daughter and her husband’s steward by doing so, but her resolve is strengthened by the support of her leading serfs...until food stocks run low. The nerves of all are tested by continued confinement and ignorance of what is happening in the world outside. The people of Develish are alive. But for how long? And what will they discover when the time comes for them to cross the moat again? 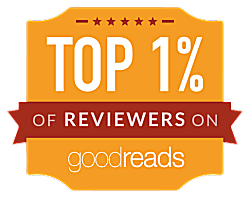 Compelling and suspenseful, The Last Hours is a riveting tale of human ingenuity and endurance set against the worst pandemic in history. 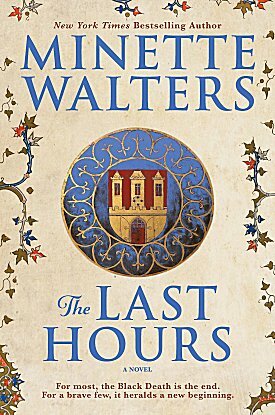 In Lady Anne of Develish—leader, savior, heretic—Walters has created her most memorable heroine to date." 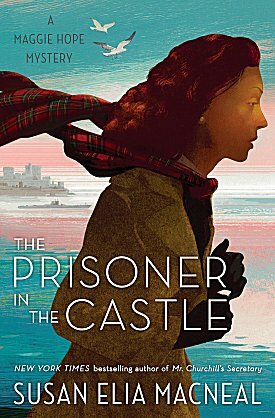 Series: #8 in the Maggie Hope historical series set on the west coast of Scotland during World War II. 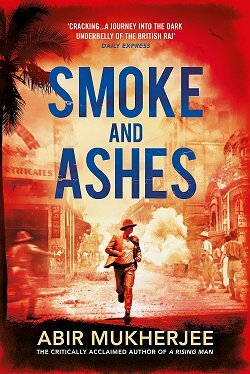 Synopsis: "World War II is raging, and former spy Maggie Hope knows too much. Series: #12 in the Royal Spyness historical series set in 1930s England. House hunting turns out to be a pretty grim affair. Just as we start to lose hope, my globetrotting godfather offers us his fully staffed country estate. Mistress of Eynsleigh I shall be! With Darcy off in parts unknown, I head to Eynsleigh alone, only to have my hopes dashed. The grounds are in disarray and the small staff is suspiciously incompetent. Not to mention the gas tap leak in my bedroom, which I can only imagine was an attempt on my life. Something rotten is afoot--and bringing the place up to snuff may put me six feet under before I even get a chance to walk down the aisle..."
Series: #13 in the Dr. Siri Paiboun historical series set in 1970s Laos. Synopsis: "Dr. Siri Paiboun, the 75-year-old ex-national coroner of Laos, may have more experience dissecting bodies than making art, but now that he’s managed to smuggle a fancy movie camera into the country, he devises a plan to shoot a Lao adaptation of War and Peace with his friend Civilai. The only problem? The Ministry of Culture must approve the script before they can get rolling. That, and they can’t figure out how to turn on the camera. Meanwhile, the skeleton of a woman has appeared under the Anusawari Arch in the middle of the night. Siri puts his directorial debut on hold and assists his friend Phosy, the newly promoted Senior Police Inspector, with the ensuing investigation. Though the death of the unknown woman seems to be recent, the flesh on her corpse has been picked off in places as if something—or someone—has been gnawing on the bones. 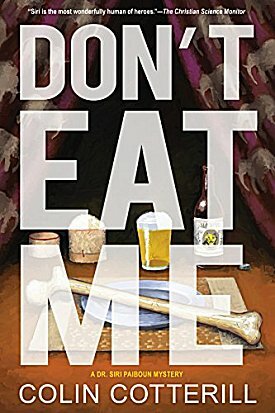 The plot Siri and his friends uncover involves much more than a single set of skeletal remains." Synopsis: "There are run-of-the-mill eccentric Californians, and then there's former detective Charlie Waldo. 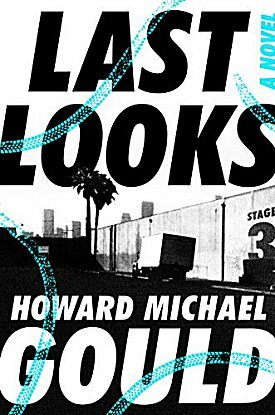 Waldo, a onetime LAPD superstar, now lives in solitude deep in the woods, pathologically committed to owning no more than one hundred possessions. He has left behind his career and his girlfriend, Lorena, to pay self-imposed penance for an awful misstep on an old murder case. But the old ghosts are about to come roaring back. There are plenty of difficult actors in Hollywood, and then there's Alastair Pinch. Alastair is a onetime Royal Shakespeare Company thespian who now slums it as the "wise" Southern judge on a tacky network show. 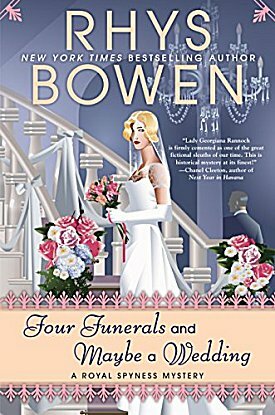 He's absurdly rich, often belligerent, and typically drunk--a damning combination when Alastair's wife is found dead on their living room floor and he can't remember what happened. Waldo's old flame Lorena, hiding peril of her own, draws him toward the case, and Alastair's greedy network convinces Waldo to take it on. 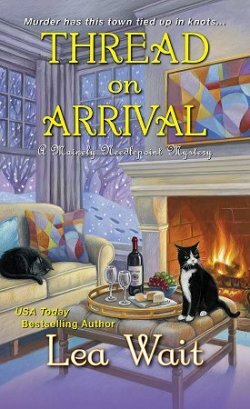 But after such a long time away from both civilization and sleuthing--and plagued by a confounding array of assailants who want him gone--Waldo must navigate complicated webs of ego and deceit to clear Alastair's name . . . or confirm his guilt." Synopsis: "Her Kind of Case is a legal drama that centers on Lee Isaacs, a female defense attorney on the cusp of turning 60, who, out of curiosity, determination, and desire for a big, even impossible, professional challenge, chooses to take on a tough murder case in which a largely uncooperative young man is accused of helping kill a gay gang member. This beautifully written novel, which earned a starred review from Kirkus, is built around not only a gradually resolving mystery but by fully fleshed-out characters, particularly the strong-willed and sharp-witted Lee. It is a breath of fresh air to see someone of Lee's standing achieve career and personal success as an older single woman who grieves the recent loss of her husband but continues her daily routine of law and karate, fighting tooth and nail to prove her client not guilty. (Note: The author, Jeanne Winer, is herself a longtime defense attorney in Boulder, Colorado, and a black-belt karate expert.)" Series: #2 in the Knit & Nibble cozy series set in New Jersey. Synopsis: "Pamela is ready to kick back and relax after a busy day selling stuffed aardvarks to benefit Arborville High School’s sports program at the annual town festival. But just as she’s packing up, she makes a terrible discovery—someone’s stashed a body under the Knit and Nibble’s table. The victim is Randall Jefferson, a decidedly unpopular history teacher after his recent op-ed criticizing the school’s sports program. But the primary suspect has an alibi, and the only clue is a stuffed aardvark found on the victim’s chest . 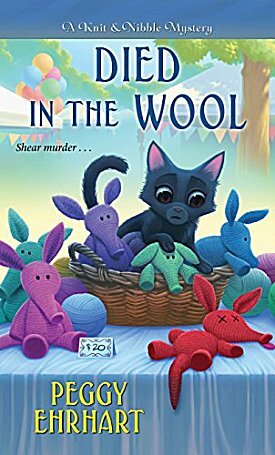 . . Now the Knit and Nibblers must unravel the case quickly—before a crafty killer repeats a deadly pattern." Synopsis: "Harvard librarian Hester Thursby knows that even in the digital age, people still need help finding things. Using her research skills, Hester runs a side business tracking down the lost. Usually, she’s hired to find long-ago prom dates or to reunite adopted children and birth parents. 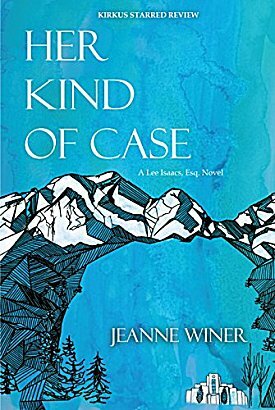 Her new case is finding the handsome and charismatic Sam Blaine. Sam asks . . ."
Series: #2 in the Lincoln's White House historical series set in Washington, DC. Synopsis: "With the Confederate Army firing on Fort Sumter, the Civil War has begun—and an invasion of Washington, DC, from Secessionist Virginia seems imminent. As the population evacuates, the President is in desperate need of men to defend the capital. Lincoln promptly assigns Quinn to deal with the matter, who is in turn aided by journalist Sophie Gates and Dr. George Hilton. And to Quinn’s chagrin, the Southern belle Constance Lemagne insists on being involved in the investigation as well. But when Dr. Hilton examines the body, he makes a startling discovery that overturns all Quinn’s assumptions about the murder. 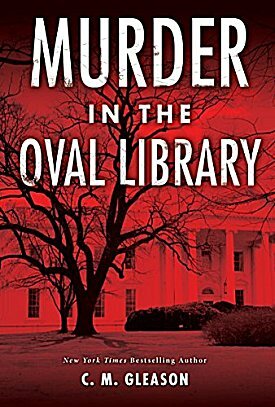 With his president at grave risk from without and within, Quinn must act quickly to catch the White House killer . . ."
I don't know about you, but when I take a look at these new books being released in August, it looks like a very good blend of excellent established authors as well as brand-new ones. Did any of my choices make it to your own wishlists? Which ones? Inquiring minds would love to know! A new Bowen, a new Cottrill and a new Walters! It's going to be a good month for books. Several of these are already on my list, but a new one is Her Kind of Case. I definitely like the look of that one. And will now go check it out. That does sound good, doesn't it? 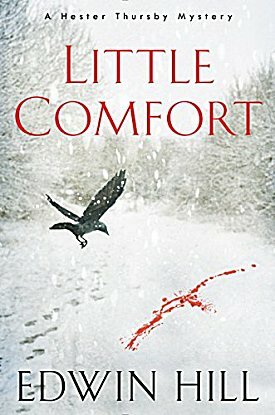 Many thanks for including LITTLE COMFORT. Ah, at last! The new Maggie Hope! And the new Royal Spyness on the same day! Some enjoyable reading ahead in the near future. Her Kind of Case -- up my alley, a legal mystery lover, written by a woman attorney. Protagonist sounds perfect. It does sound really good, Kathy. I haven't cracked Little Comfort yet, but soon-- and I really enjoyed The Last Hours, too. I'm looking forward to see where she takes the next book.